What are you grateful for? Here’s a list of mine to hopefully inspire yours. I was hoping to share something with you all. My name is Jake, I’m currently a grad student, I have a cat named Ned, I was born in August, and I think gratitude is RAD! To provide some context, I read Gretchen Rubin’s “The Happiness Project” and not only thought it was a phenomenal read but it was action provoking. So I started journaling. Not every day at first, most times just when something went wrong and I needed to vent. I decided to bring my journal with me when I traveled to Cambodia on an alternative break trip and it served me well. When I came home I kept it up for a week or so before resorting to old habits and forgetting to journal. I felt guilty after reading when my last entry was more than a month ago in some cases. 2017 has been an emotional rollercoaster of a year and journaling has been the crutch I needed. Since 06/10/17 I have journaled every single night. My common practice is to highlight certain words. I always circle when I write the word love. I underline patience every time I write it. And I write 5 things I am grateful for at the top of each entry. IT HAS CHANGED MY WORLD. I was having a conversation with my brother on a day that did not particularly go well. I told him I was stuck and could only think of three things to be grateful for. He said, “It’s hard to think of five things to be grateful for”. I could not have disagreed with him more. I marched up after we were done talking and I found two more things to be grateful for right away. I think gratitude is important in both the big and small instances. Gratitude can be a hug or a kiss shared with a loved one. Gratitude could be a friendly wave when the stranger lets you take the left at the four-way intersection. Gratitude is any number of things and I think it is important to not only recognize it for ourselves but we need to share it with others. Tell someone you’re grateful for them and tell them why. Call up a friend and let them know you appreciate them for a funny reason or just because. Tip the pizza delivery guy an extra buck for driving through the snow to get you that buffalo chicken calzone that would taste so good right now. Whatever it is, gratitude helps us live in the present and that’s where we all want to be. So here’s my pledge to you, Internet. 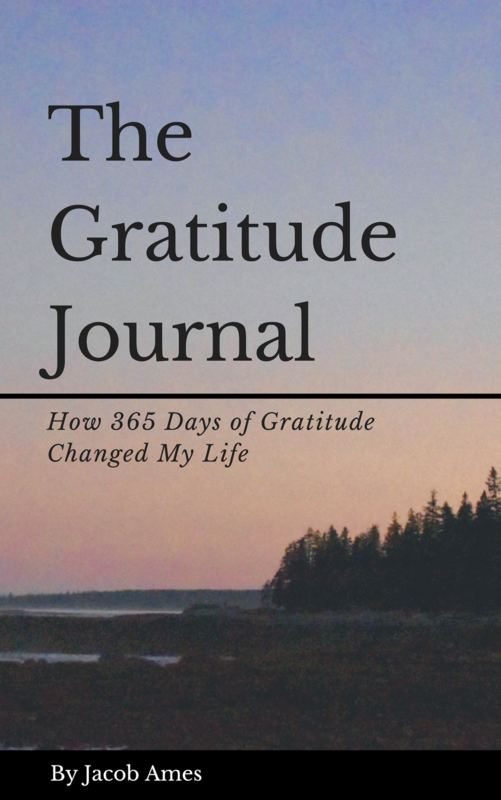 Every day for a year I will write 25 things I am grateful for on this blog. My hope is that you not only think about what you may be grateful for, but you’ll share it with others. You don’t have to share any links, technology is hard, but just bring it up. Let them know why you’re thankful for them because they are simply existing. Sound cool? I don’t know if anyone will read this but I would love to hear things you may be grateful for when you think about your day. I’m stealing this from a friend but what’s your good / better / best from your last 24 hours? Maybe you’re grateful for a good night’s rest, maybe you had the best conversation at work today, whatever it is, write it down and try to never forget. Take care Internet and happy holidays. Thank you so much! I am planning on taking some time to reflect before starting my next project. I appreciate you sharing and would love any feedback or comments from your group. Do you have any type of ideas for writing short articles? Thank you! I am currently using the Twenty Sixteen theme on WordPress. I actively experiment with different themes though. it was a fantastic locate. Thanks! I struggle with writer’s block all the time and feel similarly when getting started. Sometimes it helps me to write freely without overthinking it as I shape what my final post ends up looking like. Create an outline and make a plan you can build on. Be open to changing your mind and give yourself the time to do so. If I ever feel rushed while writing, the end product is never as good.